It is time we had an altruistic discussion about fuel subsidy with a focus on how we can best move the country forward together. I hope that other well informed, dispassionate and independent Nigerian youths would join in this discourse and ensure that the issues are analyzed in a very civilized manner in pursuit of the best of objectivity, truth and empirical facts, for it is our long term future that is at stake. Nasir el-Rufai’s article provides a very detailed and all encompassing evaluation, however I would like to clarify a few points raised in the article, before proceeding. Until 1966, the Nigerian economy was supplied with petroleum products through private sector imports by multinationals like Shell, Esso, BP and Total. Shell, BP and the three regional governments sponsored the first Port Harcourt refinery. 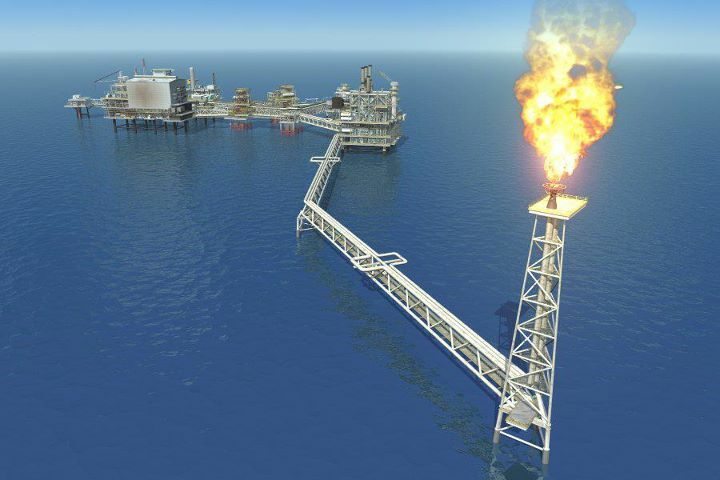 It was inaugurated in 1966 with a capacity of 35,000 barrels per day (bpd). This domestic production supplemented by imports served the nation until the early 1970s when demand outstripped supply and nationwide shortages developed. In May 1971 the Nigerian federal government, then under the control of General Yakubu Gowon, nationalized the oil industry by creating the Nigerian National Oil Corporation via a decree. Nationalization of the oil sector was also precipitated by Nigeria’s desire to join OPEC, which required that member states acquire 51% stake and become increasingly involved in the oil sector. 1975: Decree 6 increases federal government share in oil sector to 80%, with only 20% going to states. 1978: Perhaps most importantly, the federal government created the Land Use Act which vested control over state lands in control of military governors appointed by the federal military regime, and eventually led to Section 40(3) of the 1979 constitution which declared all minerals, oil, natural gas, and natural resources found within the bounds of Nigeria to be legal property of the Nigerian federal government. 1979: In an effort to establish further control over the industry, the government merges and restructures the NNOC and the Ministry of Petroleum to form the Nigerian National Petroleum Corporation, an entity which would exert more power over the allocation and sale of concessions than the NNOC. By 1979, the NNPC had also gained 60 percent participation in the oil industry. http://en.wikipedia.org/wiki/Petroleum_industry_in_Nigeria *** list of references, external links and citations are provided for this source at the end of the article and meets standards for acceptable and reliable publications. It is also important to note, that the evidence shows that the problems with our downstream petroleum sector and Nigeria’s inability to effectively manage the sector was a direct result of govt involvement in this sector in 1971, with a resulting deterioration with time. Government whether in Nitel, NEPA/PHCN etc has proven to be a very bad business manager, not only in Nigeria, but also all over the world. It is a widely held belief that the importation of refined products started during the IBB regime, this is clearly not true, as far back as the Gowon Regime, up unto the Shagari and through the Buhari Regime, the govt run NNOC/NNPC showed levels of inefficiency which could only have been expected to get worse. With refineries in operation above the local capacity consumption of Nigerians, the govt through the NNPC still relied on fuel importation to supplement at various times where local supply was hampered by inefficiencies in the govt controlled refinery management. The difference was the process, before 1986 the petroleum product procurement and distribution was entirely run by govt. through the NNPC, and products where routinely imported by trading crude to the foreign IOC’s in exchange for products refined by these same companies in their refineries abroad a process called “Offshore Processing”, because our policy precluded them from participating in the downstream sector. Needless to say, Nigeria was being ripped off in a different form. I would rely on an interview granted by Professor Tam David West, the Petroleum Minister in 1984, as the information I have come across on these operations within the industry are contained in archived user access only sources and cannot be readily provided here. Please See link – specifically from 8.50 http://www.youtube.com/watch?v=f0MUoK2Xuw4&feature=related. A kin observation of the premise and implications of the statements from the Professor are necessary to reach an obvious conclusion, which is quite different from the conclusion of the ex-minister. Also very detrimental to our downstream petroleum sector is the Petroleum Equalization Fund. The Petroleum Equalization Fund (PEF) is a scheduled Parastatal of the Ministry of Petroleum Resources, established by Decree No.9 of 1975 (as amended by Decree No. 32 of 1989), mainly to administer Uniform Prices of Petroleum products through out the country. This is achieved by reimbursing a marketer’s transportation differentials for petroleum products movement from depots to their sales outlets. http://resourcedat.com/wp-content/uploads/2011/10/Petroleum-Equalisation-Fund-Service-Delivery-Charter.pdf. In simple terms the PEF pays a marketer the cost of transporting a tanker of PMS or Kerosene for eg. From Port Harcourt refinery or from the Atlas cove in Lagos to Damaturu, Enugu, Ife or Sokoto. If you sum up how many tankers make these and other journeys daily, apart from the fact that the cost of products are never the same in the 774 local government areas, which proves that the policy is actually a time and money wasting venture, it is easy to sea how such policies promote inefficiency, waste, abuse and corruption. As a matter of fact a large number of marketers end up claiming the cost of transportation of products for eg from PH to Sokoto and sell the products to 3rd parties right outside the refinery at Eleme near PH. This is an unenforceable policy in a country that has grown as much as Nigeria has over the years, with probably thousands of filling stations across the country. Good enough all sides of the petroleum products subsidy argument, agree that the policy has been a massive failure, ravaged by a natural generic character imbedded within the DNA of the policy, especially in a country which has grown to the size of Nigeria’s in terms of energy consumption capacity and demand (add that to the obvious demand from our neighboring countries). It would do us and our children well if we identify our problems, take the painful pills to heal the system and painstakingly plant the seeds for future harvests. The removal of petroleum products subsidy, including the Petroleum Equalization Fund, deregulation of the downstream sector, and full liberalization, while it may be painful initially, is a very necessary step to usher in efficiency and massive economic boom inherent within the massive downstream petroleum sector which is currently repressed and put in the total control of govt and a few cronies; it is the painful but efficient step to create enterprises, industries and empowerment for the poor by the creation of opportunities and jobs which is potential within the sector. May we note; that this is irrespective of govts. input, the advantages and opportunities are in taking away this sector from govt commercial and business involvement, and getting govt back to it’s fundamental duty which should be regulation. On the social side, the truth is that as bad as the conditions are in Nigeria, the people can effectively deal with this necessary but painful first step towards building for the future, we are better than all our neighboring countries who survive on market prices of petroleum. If the sector is liberalized, it may happen that Mallam Nasir el-Rufai, may be one of those whom may eventually get involved in several partnerships to build private refineries, I do hope so, for the sake of the future of my country. PreviousPrevious post:Nigeria comedian’s drug arrest makes agency a jokeNextNext post:Its Demolition Galore in Lagos State!